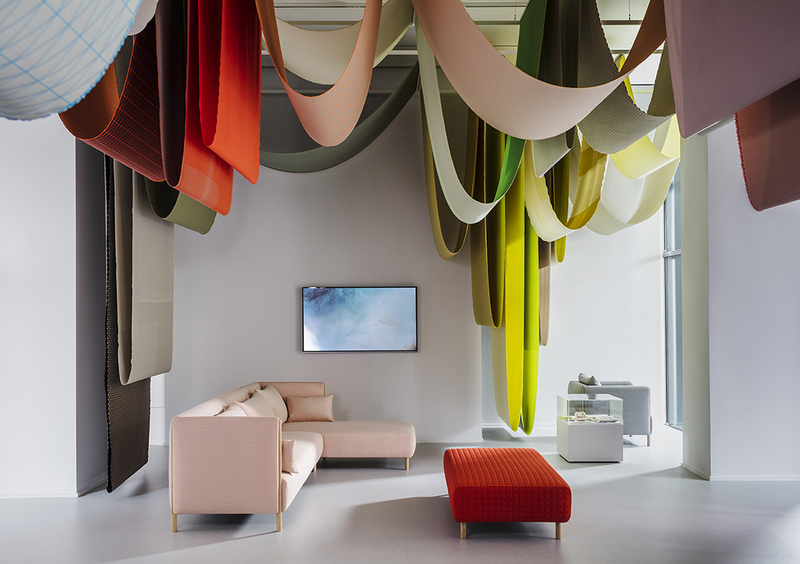 Coinciding with Salone del Mobile 2017, Herman Miller and Maharam presented ‘Chromatography: The Colour World of Scholten & Baijings’ at Herman Miller in Milan. 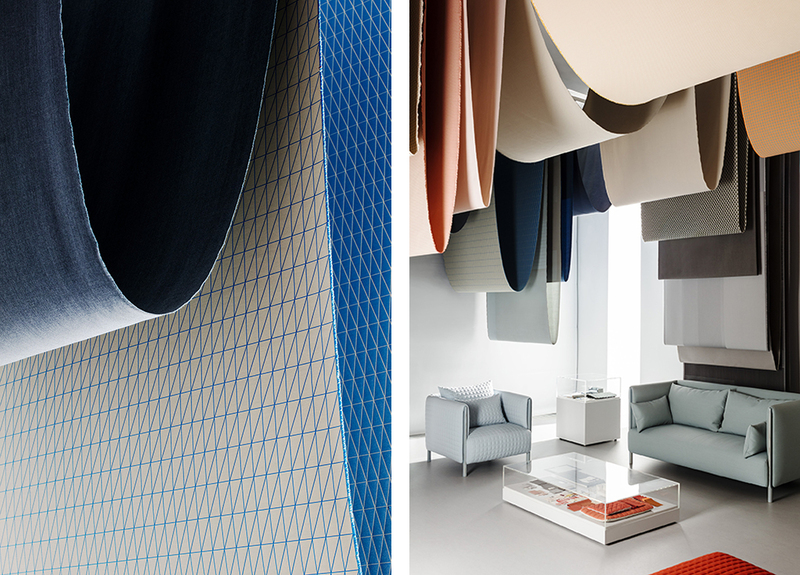 The exhibition was designed by Stefan Scholten and Carole Baijings and served not only as the worldwide debut of three new textiles (Mesh, Tracery and Pare) they created in collaboration with the Maharam Design Studio, but also as the premiere of the designers’ inaugural furniture collection for Herman Miller, the ColourForm Sofa Group. 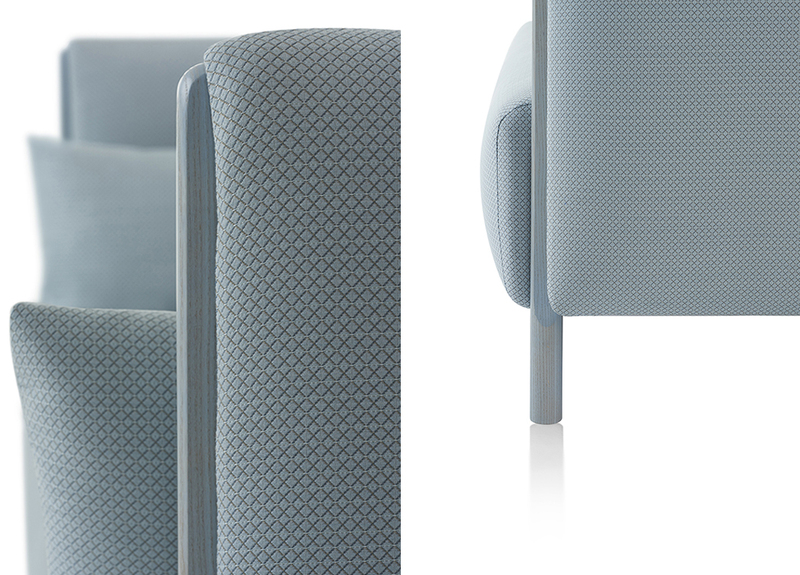 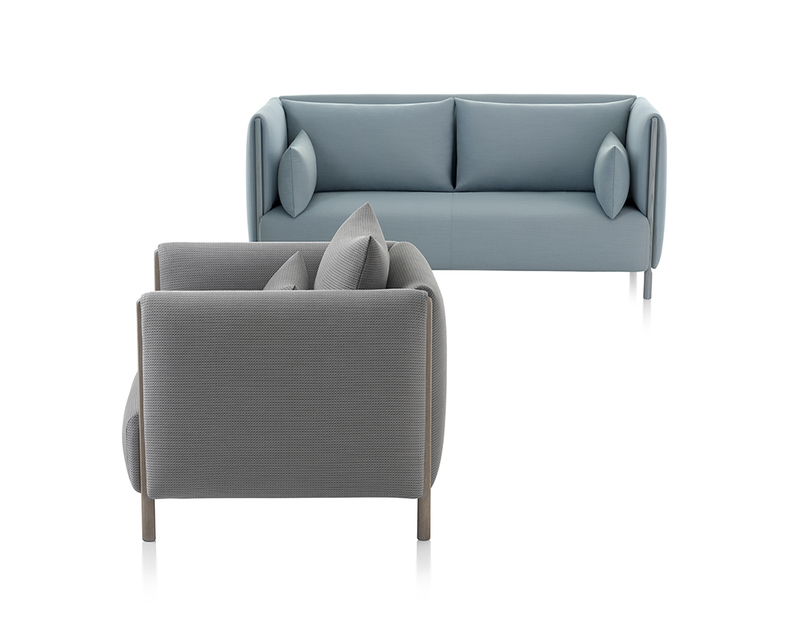 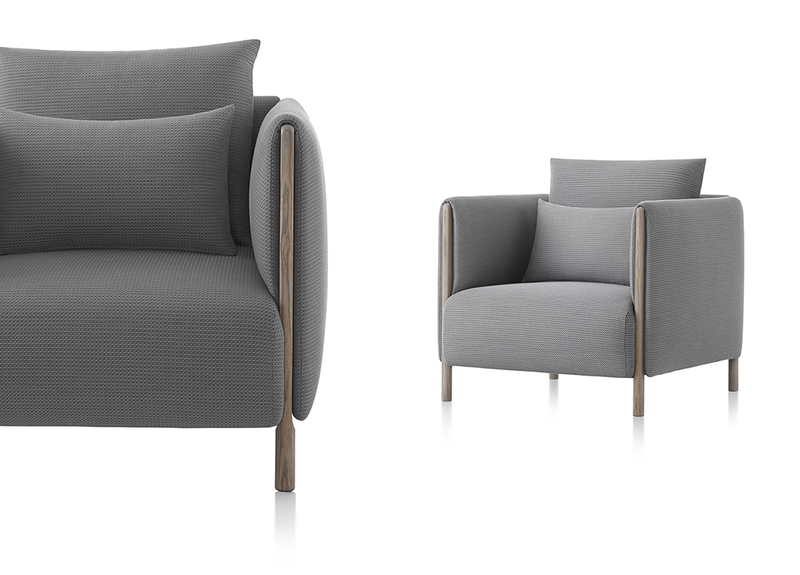 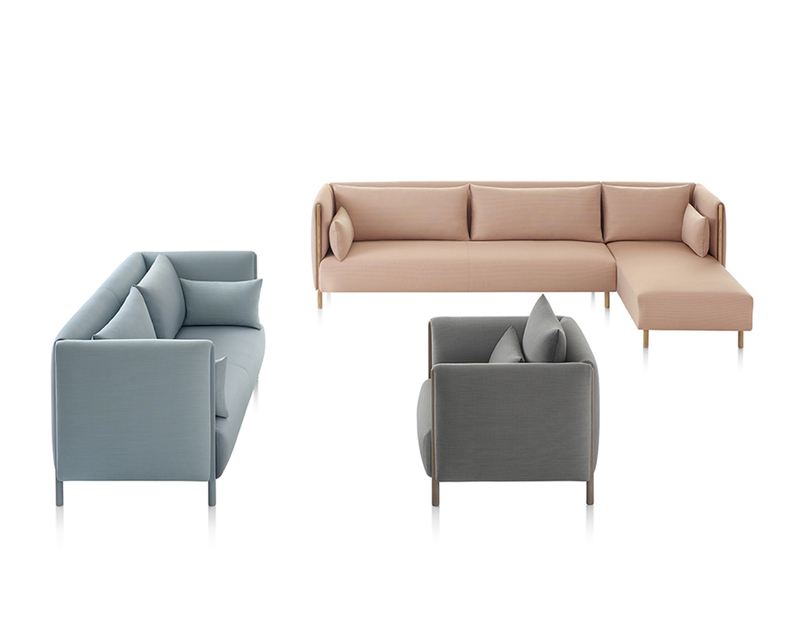 Throughout their practice the designers emphasize multiplicity and combination with their designs, and, in the ColourForm Sofa Group, the result is a vocabulary of multiple lounge seating pieces, including two- or three-seat sofas with or without arms, a club chair, ottoman, bench, sectional, and a distinctive tête-à-tête. 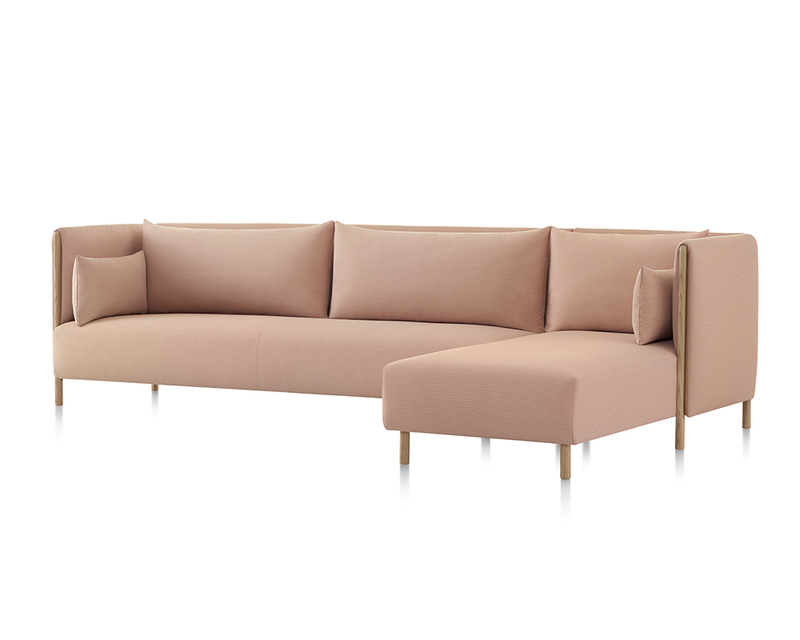 Throughout their career as industrial designers, Scholten & Baijings have proved themselves to be acutely sensitive colorists – devising a hands-on, process-oriented methodology to arrive at unique hues and fresh palettes. 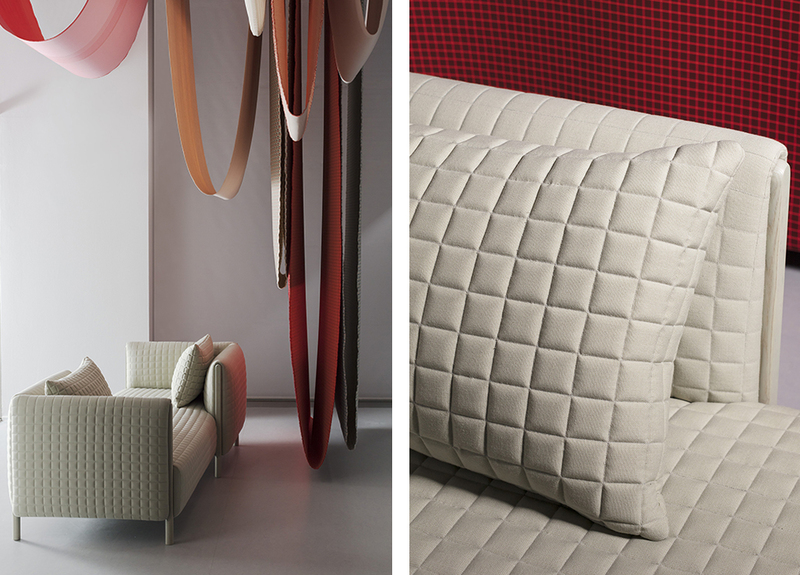 Reflecting their focus on nuanced color and refined geometric patterning, the designers’ new products with Maharam shift from the boldness of their past collaborations to more intimate textile surfaces that invite further observation.